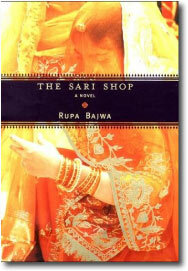 Rupa Bajwa’s debut book The Sari Shop revolves around Ramchand a salesperson at a sari shop in the old area of Amritsar. 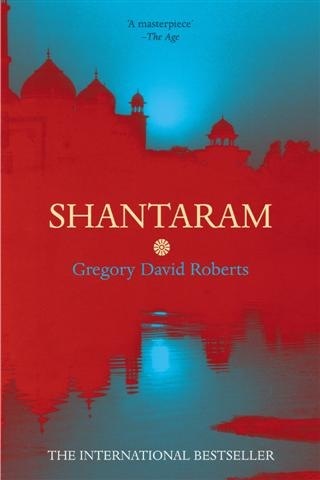 Ramchand’s life is chronicled and interwoven with stories and tidbits from the lives of others around him. Ramchand and his colleagues wait on the richest and the most powerful ladies in Amritsar who choose to come to this sari shop for the variety and quality that it promises. From university professors who look down upon money, and rich business people who look down on people who may not have the kind of money they had. The Sevak Sari Shop attracted all sorts. They have a strict task master of a boss called Mahajan who used to ensure that they catered to all the customers in the best way they could. Ramchand lost his parents, who he adored and looked up to, in an accident when he was very young. He is brought up by his uncle and aunt. As he grows up, he realizes that he has been cheated by his uncle of the shop that his father owned and the jewelery that his mother owned. He is left with nothing. His uncle gets him at apprenticeship at the sari shop and that is where he stayed. He remembered how his father used to want that his son to learn English. He realizes that people who know English have an edge, and so he starts his journey to self-improvement. He picks up second-hand letter writing books, a dictionary and works hard at it even when in most cases, the context itself is not very clear to him. What I really loved about the book is the way the author describes things in the book. Right from the way the old market area in Amritsar is set up, to Ramchand’s sensitivity is beautifully portrayed. Ramchand’s amazement when he sees women wearing the sarees that they bought at the shop. For some reason he had never put it together that people wear the expensive sarees they buy to functions and weddings. Instances of how the sales people at the shops are considered invisible or non-existent by the customers as they talk and gossip away while browsing through the saris. The rich-poor divide is well brought out. Ramchand is easily affected by the others around him. Even a scolding from Mahajan for coming late has quite an impact on him. One day he unwittingly comes across some issues which he initially ignores and later his conscience prevents him from ignoring and carrying on with his life. Things come to a head when lives across the spectrum of society clash in a way which most of them would have never anticipated.. The ending especially is poignant and makes one wonder at how different people come to terms with what life offers them. The book has several stories, intricately woven into one. It was a 4/5 read for me. There was something that was missing from making it a completely wonderful read, for me. This book came highly reviewed by some very good friends and I could not wait to start on it. A lot of times, when I start a book with high expectations, I end up disappointed. In this case, I am so delighted to say, that I was blown away by the book. Influenced by real life events in the life of the author, is an amazing read. Convicted in Australia, for a series of armed robberies, Gregory David Roberts, escaped from prison and travelled to Mumbai, on a fake passport, on his way to Germany. What was supposed to be a stopover, turned into a much longer stay, as he felt instantly at home in the city. Using his fake name, Lindsay, he gets called Lin or Lin Baba by a guide Prabakar, who then takes him on a tour of Mumbai. Prabakar takes him to places where he would have never taken another foreigner, because he feels that Lin would be able to absorb it all in. Prabakar is somebody Lin instinctively trusts. As the trust and love between the men grow, Prabakar invites him to his village, where he is greeted with love and affection by Prabakar’s family. Prabakar’s mother bestows the name ‘Shantaram’ on him. On the way back, Lin and Prabakar are robbed and Prabakar uses his contacts in the slum that he lives in to provide Lin with a place to stay there. Lin ends up living there and becoming a doctor to the inhabitants of the slum, which in turn brings him in contact with the don, Khaderbhai, who owns the slums. Slowly he gets involved in other less charitable activities with the don. Alongside of all this, he picks up Marathi and Hindi and makes some very good friends, who he could trust wholeheartedly. As he says in the book, his loyalty was not to the organisation but to the people in it. He came to revere Abdel Khader Khan(Khaderbhai) as a father. He would do anything for the people who he considered his own. He followed Khaderbhai to Afghanistan where the don was smuggling arms and ammunition to the mujahideen fighters. There Khaderbhai gets killed which has a very profound effect on Lin. Lin’s concept of honour amongst thieves is brought out well by the decisions he takes in various situations. Most of the incidents narrated are very moving despite the violence that is an integral part of the book. Another extremely impressive thing is how well Lin blends into Bombay. As he tells a cab driver, ‘The face might be white, but he is all ‘Hindustani’ inside’. The story is not without a romantic angle. Early in the book, when he had just reached Bombay, he met the mysterious Karla Sarenson, a Swiss-American woman who refused to reciprocate his love. His love for her, is a thread running through the book. It was such a voluminous book, and yet I just wanted it to go on and on. The narrative keeps you engaged and wanting for more until the very last line. It is a book that I will definitely read, and re-read. It was for me, a 5/5 book.